Now is your chance to become a Hill Valley property magnate. 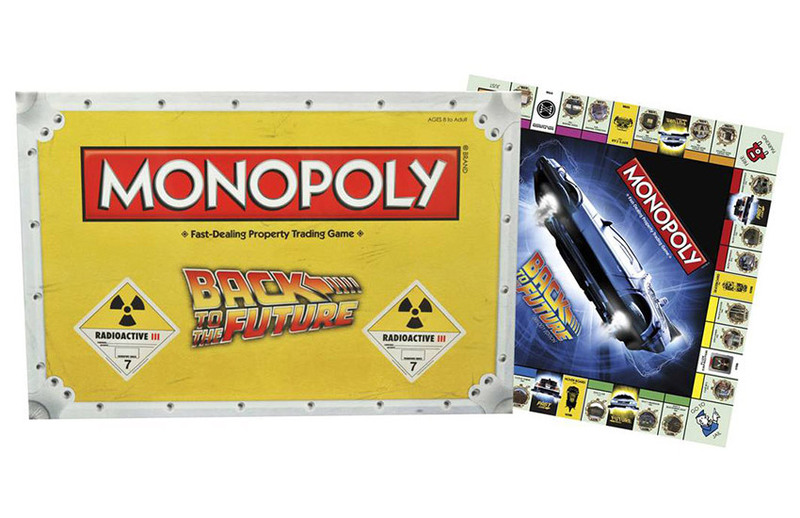 Back to the Future Monopoly is almost here. Great Scott Marty! Your quest for property has changed the future. This version of Monopoly comes in a box that looks like Doc Brown’s plutonium case and the board looks pretty cool too. I can only guess that the playing pieces will include a DeLorean, maybe Einstein the dog, Biff’s cane and a Hoverboard, but that’s just conjecture. Back to the Future fans will want to add this game to their collection for sure. You can pre-order it now from Entertainment Earth and it will ship in December.